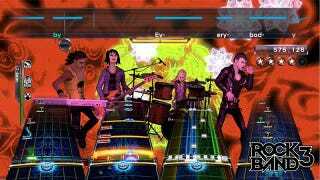 Yesterday I wrote about how Rock Band creator Harmonix is working on a totally new game with combat and stuff. I also threw in some hypothetical game names that probably won't happen, since it's a new IP and all. This wasn't enough for Harmonix's John Drake, who insisted that I write more.